Physical therapists have a variety of methods and tools for treating painful injuries and debilitating conditions. The techniques they use vary from patient to patient because each treatment needs to be customized to the needs of the individual. Generally, the goal of physical therapy is to help reduce pain through strengthening and stretching the muscles and soft tissues. This can help release tension and reduce the pressure that causes pain or makes it hard for injuries to heal properly. Manual therapy treatments can help improve your range of motion and reduce bone, joint and soft tissue pain. Your physical therapist will assess your condition and determine what kind of manipulations and movements are best for you. Dry needling is a form of treatment that requires the uses of sterilized needles to help reduce pain. Your physical therapist will identify trigger points in your muscles that can release tension and help soothe pain in the muscles. Dry needling is not the same as acupuncture. It is a medically proven healthcare procedure that can help reduce the pain in all kinds of patients. An ultrasound device is a handheld tool that produces ultrasound waves in a concentrated area. Ultrasound treatments help heal damaged tissues by increasing the temperature in the soft tissues using the ultrasound waves. These treatments increase blood flow, reduce swelling and inflammation in the injured area to promote healing, and help reduce pain. 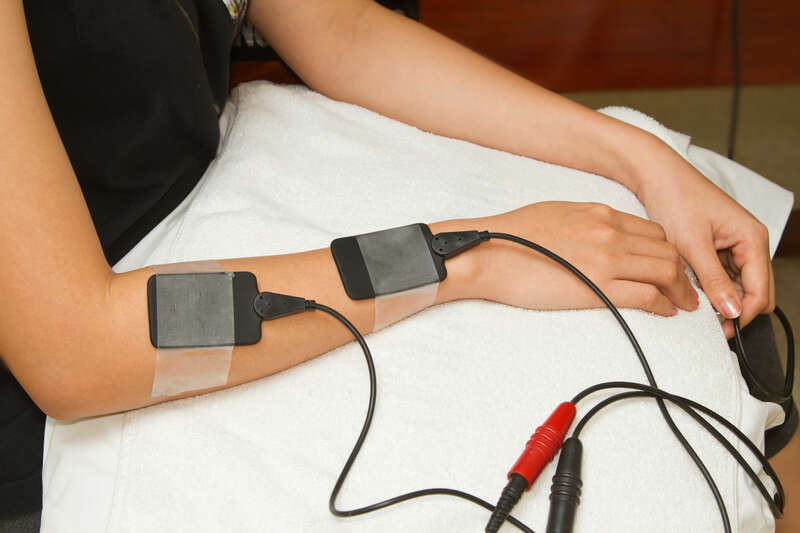 Electrical stimulation is used to stimulate contractions in muscles to help reduce pain and treat a variety of conditions. Many injuries and conditions cause certain muscles to lose function, which causes the muscles to grow weaker. Electrical stimulation can help prevent this from happening, so your muscles remain strong and fit during and after recovery. Are you suffering from an injury or debilitating condition? Would you like help reducing your pain and regaining the use of your body? Contact our team today for more information or to schedule an initial appointment.